So here we are find ourselves on the cusp of another year, the old orb having proved again it can reliably revolve 365 consecutive times without a wobble. INO wishes its readers a Merry Christmas and a Happy New Year and may you all return refreshed and fighting fit in 2019. What follows is our somewhat hurried summary of the year that was. From INO’s perspective 2018 started with a bang when it was revealed that registered liquidator and senior partner of PPB Advisory had committed a not insignificant fraud. As the story emerged the rest of the profession could only look on in horror and mystification. Rivals Sense Opportunity As David Leigh Fallout Spreads. Leigh ultimately pleaded guilty to stealing $800,000 from the liquidation account of a company called Neolido Holdings. It’s expected he’ll be sentenced in early 2019. It was also in February that the new disciplinary rules under Part 2 of Schedule 2 to the Bankruptcy Act (the Act) had their first workout with the referral of Veritas Advisory bankruptcy trustee Louise Thomson. INO broke the news in Thomson First Trustee To Be Referred Under New Rules and followed the process to what for Thomson was a happy conclusion two months later in: Bankruptcy Trustee Louise Thomson Vindicated. On the corporate insolvency side, by the time Thomson was referred, Cor Cordis Melbourne partner Dennis Turner had already attended a hearing following a referral to a committee under the new section 40-45 of the Corporations Schedule in relation to an independence query. See: Cor Cordis Partner First Referral Under New Law. ASIC advanced five concerns, of which the committee hearing the matter found only two. Turner had to complete an ARITA course but ultimately his “transgressions” were categorised as “minor omissions or errors of judgment”. There but for the grace of … etcetera. Other notable events in February included Westpac restructuring guru Gwynn Morgan’s announcement that he would retire later in the year and Federal Finance Minister Kelly O’Dwyer’s revelation that up to 20 per cent of all liquidations could involve some level of phoenix activity. (Confidential ATO Data Shows Phoenixing On The Rise). In a month crowded with compelling yarns nothing stood out for INO’s audience quite like our exclusive story on March 28, when we posed the question: Merger: PPB And PwC On Cusp Of Consummation?, in the process breaking the biggest merger & acquisition story in the insolvency and restructuring space for years. As big as that story was, it didn’t mean INO was neglecting the SME end of town, a fact best illustrated in our exclusive Consolidation: Jirsch And GM Advisory Talk Merger. We also continued to report on the rapidly unfolding David Leigh saga in Collateral Damage: Sparks To Resign From Neolido and PPB’s Preferred Picks Ousted By BDO Duo. On the legal front the big story of March was the Amerind decision by the Victorian Supreme Court’s Court of Appeal in Commonwealth v Byrnes and Hewitt  VSCA 41 (28 February 2018). Reports on legal decisions of course come with a caveat given they are often challenged and such was the case with Amerind, now subject to an appeal in the High Court which is scheduled for hearing on February 5 and 6, 2019. Not far behind in terms of importance for insolvency practitioners was the Queensland Court of Appeal’s judgment on the appeal against the April 2017 ruling of Queensland Supreme Court Judge David J Jackson, who had determined that the liquidators of Linc Energy were not entitled to instruct the company to ignore an environmental protection order (EPO) issued after their appointment as voluntary administrators (VAs) in April 2016. In Linc Energy Appeal Decision Likely To Be Appealed we discussed the likelihood that an unfavourable decision from the Linc liquidators’ perspective would’ve prompted an appeal to the High Court appeal backed by FEG recovery czar Henry Carr. On April 4 we followed up our March 28 revelation that PPB Advisory was in talks with PwC about a takeover. The latest was that the firms had signed a non-binding agreement and commenced due diligence with a view to finalising the deal within months. See: PwC Takeover Of PPB/Litmus Slated For July 1. The regrettable Mossgreen saga was also playing out for BDO trio James White, Andrew Sallway and Nick Martin in April with a Federal Court judge refused their application to recover from the assets of the company about $1 million they incurred taking stock of the insolvent auction house’s slovenly affairs. That decision prompted a challenge as outlined in BDO Trio Appealing Mossgreen Judgment. April was also a tough month for discipline. Ozem Kassam found himself out of favour in Cor Cordis Partner Expelled From ARITA and Randall Joubert lost a last ditch bid to prevent cancellation of his liquidator’s registration, a saga we explored in detail in Affirmation Of CALDB Decision Dooms Joubert. On May 2 we reported in PPB Partners Choose PwC Future that a majority of equity partners of PPB Advisory had chosen to accept the PwC and in: PPB Advisory Takeover – Tip Of The Berg? explored how that decision effectively cut the number of major independent insolvency firms in this country from four to three. We also explored the latest developments in the ongoing battle between the special purpose liquidators (SPLs) of Queensland Nickel and Clive Palmer, the man behind the joint venture that ultimately controls the Yabulu Nickel Refinery and associated operations in Townsville, Queensland. In Threat To Block PwC/PPB Takeover Overlooks Obvious we detailed how Palmer had made application to freeze the assets of SPLs Steve Parbery and Michael Owen, both of whom worked at PPB at that stage. Within weeks the tables had been quite deliberately turned, as outlined in PPB Advisory Pair Succeed In Palmer Asset Freeze. Also significant in May was our report FEG Boss Promises “Big Year” After Audit Office Tick. Based on an independent assurance review of the Department of Jobs and Small Business titled Achieving Value for Money from the Fair Entitlements Guarantee Recovery Program, the review revealed that the FEG Recovery Unit had recovered $63.7 million between July 1, 2015 and February 28, 2018 and unit chief Henry Carr was planning bigger things in 2019. Disciplinary actions by ARITA continued in June, as reported in ARITA Expels Third Member In Two Months. The always intriguing status of priority creditors got a workout in Court Agrees To Exempt Priority Creditors At VAs’ Cost and the profession’s high rate of compliance was illuminated in ASIC’s Liquidator’s Lodgement Blitz Uncovers Not Much. In terms of corporate developments June was notable. In Jirsch Sutherland Appoints New Managing Partner we reported that Bradd Morelli had replaced Sule Arnautovic and in Borrelli Walsh Speaking To PPB Advisory Partner the Hong Kong firm’s interest in opening a beachhead in Australia was canvassed, though it seems that firm started by Adelaide-bred Cos Borrelli has since shelved its plans to expand. In AIIP Inaugural Conference Kicks Off In Canberra we brought readers a summary of the Association of Independent Insolvency Practitioners’ (AIIP) inaugural conference. Pressure from ASIC and AFSA continued to be a focus in July, with Regulators Continue Jihad On Practitioner Compliance reporting on AFSA’s Personal Insolvency Compliance Program 2018-19. We also reported on the MV Developments liquidation, suggesting it was a textbook case of how not to avoid a finding of unreasonable conduct and how difficult it can be to wind up a property development when there are competing prospective purchasers, multiple registered security holders and a director who admits accepting casino chips as deposits. See: Liquidators To Pay After Unreasonable Conduct Finding. Conduct was also the focus of ATO’s Bid For 10 Year Ban Heading For Trial which reported on the decision of Federal Court judge Nye Perram that an inquiry into the conduct of liquidator David Iannuzzi could proceed. (That decision is currently the subject of an appeal). July was also notable because it was the month that the imminent acquisition of PPB Advisory by PwC saw the target firm’s most respected name lock in his future elsewhere, as reported in: Ferriers Scores PPB Pair As Deal Deadline Approaches. In Have Tax Rogues Cut Liquidators Out Of Phoenixing? INO kicked off the month with a report on how tax agents may have replaced complicit liquidators as the primary facilitators of illegal asset transfers. Meanwhile, in Pitchers Pair Affirm Reforms In Federal Court Fight INO reported on a Federal Court decision affirming the right of liquidators to assign claims, a right brought in in September 2017 as part of the Insolvency Law Reform Act (ILRA) (2016). Late in August INO brought long anticipated news from the Federal Court in Melbourne where Pitcher Partners was undertaking a series of public examinations in a bid to establish the extent of claims it might have as liquidators of various entities within the Armstrong & Shaw Group comprising accountants, lawyers and business advisors allegedly controlled by struck-off accountant Phil Whiteman. In Pitcher’s Phoenix Probe Yields Liquidators’ Names we revealed that Pitchers had written to more than 100 registered liquidators seeking information about referrals from Arnstrong & Shaw-related entities and individuals. August also brought sobering news which INO published in Vale David Young – Much Loved Practitioner Dies and our report on the corporate regulator’s latest initiative to impose greater controls on its regulated population of registered liquidators in Reviewing Liquidators Panel – ASIC Forgets The DIRR. There’s no better time than Spring to bring the issue of referrers into the light, which we did in: Insolvency Referrer Denies Backdating Developer’s Docs. Nor was it anything less than the appropriate time to report on the at times excruciating process by which lawyers acting for FEG questioned liquidator David Iannuzzi. In MK Floors: Liquidator Describes Director He Didn’t Meet INO listened in fascination as the Veritas Advisory principal described a company director who only hours earlier sat in the same witness box insisting the pair had never met. Meanwhile, the incredibly drawn out pursuit of South Australian practitioner Peter Macks had another airing in Liquidator Peter Macks Loses Bid To Grill ASIC Officers while in the world of FEG, an ongoing dispute between FEG and McGrathNicol relating to the latter’s role as receivers of various Hastie Group entities was brought to a conclusion, which we reported on in: FEG, McGrathNicol Settle Over Hastie Claim. After Treasury released draft reforms in August the industry was quick to respond, with ARITA and the Australian Institute of Credit Management (AICM) lodging submissions to the draft reforms at the end of September which we reported on in Industry Responds To Phoenix Reforms. In 10 Per Cent Queue For Liquidator Reviewing Gig INO canvassed the profession’s response to the regulator’s initiative, details of which should be announced early in the new year. Meanwhile, the endlessly potholed road to independence was traversed by Federal court judge Justice Craig Colvin in Judge Punts Worrells Partner In Favour Of Ferriers while in Leigh Plea Anticipated On November 2 INO correctly predicted that disgraced liquidator David Leigh was preparing to fall on the proverbial. Conference-wise October was all about our summary of ARITA’s biggie, as detailed in ARITA 25th Anniversary Conference Wrap while on the legal front we brought you the latest on rights of indemnity and exoneration as they apply to trustees in bankruptcy via To Trust Creditors, Or To All – That Is The Question. On the disciplinary front November commenced with Liquidator Facing 10 Year Ban Seeks Leave To Appeal which reported on David Iannuzzi’s application to appeal a decision of the Federal Court that there should be an inquiry into his conduct as a liquidator. The appeal is scheduled to be heard in February, 2019. In Liquidator Pleads Guilty To Fraud Charges we brought you the latest development in the tragic tale of ex-PPB advisory partner David Leigh while on the conference and professional development front it was all about Traill & Associates’ 6th Annual Bankruptcy Congress. Meanwhile, in Receiver Instigates Inquiry Into Westpoint Liquidators we detailed the increasingly bitter dispute between Pitcher Partners’ Andrew Yeo and Gess Rambaldi, who for almost two years have been engaged in an attritional struggle with Mark Korda. One of the biggest and potentially most significant insolvencies of the year also came to light in November after partners from McGrathNicol were appointed VAs of RCR Tomlinson, an appointment we likened to the Ten Network insolvency in McGrathNicol Does A KordaMentha On RCR Tomlinson. In the pages of INO, the final month of the year was dominated by our exclusive about registered liquidator Amanda Young. In Jirsch Partner Suspended Amid Fraud Investigation we broke the news that Young had been suspended as irregularities were being investigated internally and reported to the relevant authorities. We followed that up with Jirsch Partner Sacked Over $240k Misappropriation and expect more to come out of this over the course of the new year. Meanwhile, the seemingly never ending saga of Walton Constructions had another airing in Walton Judgment Confirms Bank’s Self-Serving Role which, if further proof was needed, reiterated NAB’s involvement in this sorry affair. Finally, another sorry saga that will continue to bleed in 2019 is Pitcher Partners’ investigation into the Armstrong & Shaw group of companies, the latest revelations of which stemmed public examinations detailed in: 5 Liquidators Invoked During Phoenix Inquiry. 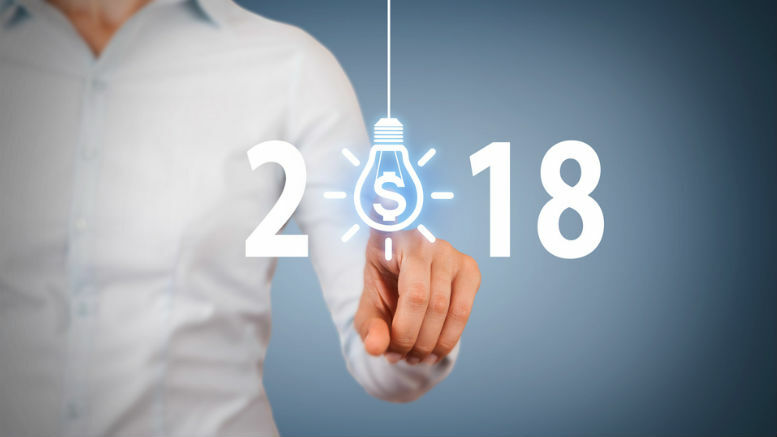 3 Comments on "INO 2018 – The Year in Review"
Thanks Nick. Merry Christmas. Are you on my reading list? No, I will join soon.